You know in a film when a character is just living their normal, everyday life but they feel like they’re meant for something else, something greater? That this mundane existence is not enough and they have a heroic destiny to fulfil. Hercules, for example, dreams of Going the Distance and finding where he belongs. Well, he’s not the only one. The inanimate objects lying around your house are also crying out for a heroic rebirth. 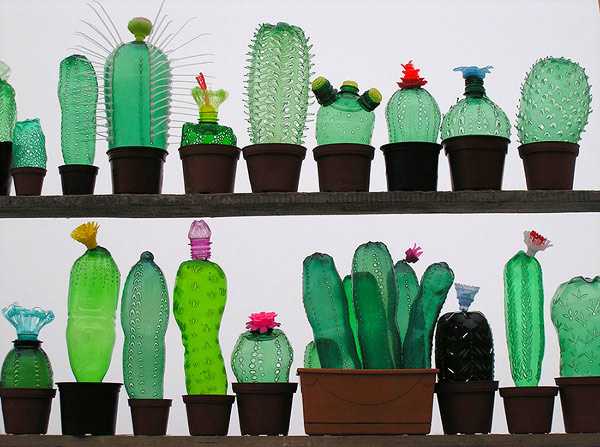 Seriously, stuff like used containers, old furniture, CDs and records all have all the potential to be reborn (or upcycled), and you could get a snazzy makeover out of it too. Plus, household clutter has a bad effect on your health. 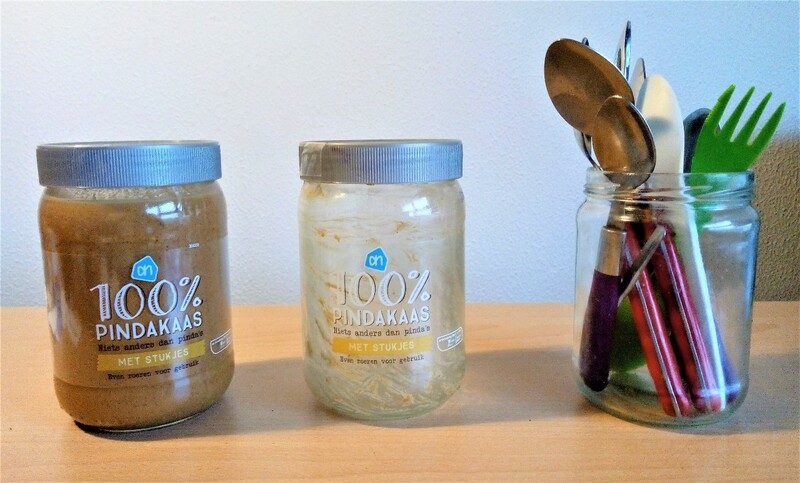 How many empty jars of pasta sauce or pickles or Nutella do you recycle per week? (Or whatever it is that tickles your fancy.) Before you reach the last resort of recycling, it’s worth checking out if these containers could be used for something else. Remember, we are living by the wisdom: Refuse what you do not need. Reduce what you do need. Reuse what you consume. Recycle what you cannot refuse, reduce, or reuse. And rot (compost) the rest. The Ginger and the Vegan are keen recyclers, so we’ve never really pushed ourselves to reuse things, which of course is even better. The first thing you might notice is that we consume a lot of peanut butter. Beside that, we are very practical. Our old jars make the perfect cutlery holders. However, this is a limited endeavour. We cannot possibly fill our little student flat with glass jars ad infinitum; recycling plays a big part in our peanut butter consumption. This challenge has shown us that with a bit of creativity, it's possible to make our apartment look like a repurposed, wonky product haven; a love child of steampunk and Tony Stark, and the world will be less wasteful for it.